Taco Maria in The OC MIX has been winning awards right and left, with two-time James Beard Award-nominated chef and owner Carlos Salgado. From the OC Register to LA Times to Food & Wine Magazine, this modern Mexican restaurant in The OC MIX is being recognized as the hottest new spot in Orange County. ARC, in the South Coast Collection (SOCO), is an American eatery where everything is made in house or sourced from local artisan producers, and every single item served is cooked in a wood-burning oven. ARC has won awards and recognition from the LA Times, OC Weekly, KTLA-5 and others. Portola Coffee in The OC MIX has been wowing coffee aficionados with its quality, traceable, fresh-roasted and fresh-brewed coffee in a shop fashioned after a chemistry lab. Portola was named 2015 Micro Roaster of the Year by Roast Magazine. In The CAMP, Old Vine Café is an open-air Italian bistro with locals reverent for its decadent breakfast and fixed-price wine pairing dinners. Din Tai Fung in South Coast Plaza is a world-renowned Shanghai dumpling restaurant with its only Orange County location in Costa Mesa. The chain has been winning culinary awards around the globe, including the U Favorite Food Award, Time Out Magazine’s 50 Top Dishes, Gayot’s top 10 OC restaurants and Michelin stars for its Hong Kong location. Costa Mesa offers so much more than great food. Find a vibrant performing arts center in Segerstrom Center for the Arts, including Broadway shows and concerts from nationally recognized artists. And for the best in shopping, look no further than South Coast Plaza. This internationally recognized center features over 250 boutiques, including the world’s most storied fashion brands like Gucci, Louis Vuitton, Fendi and more. South Coast Plaza holds the distinction of having the highest concentration of designer/brand fashion retail stores in the country. With its central location in Orange County and proximity to attractions like Southern California beaches and the Disneyland® Resort, not to mention the top hotel brands in the U.S., Costa Mesa is a perfect place to stay for an OC getaway. 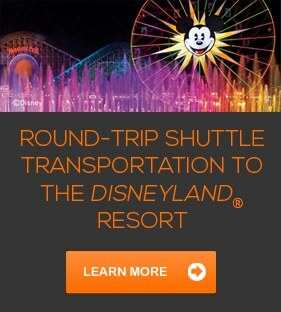 Plus, 9 Costa Mesa hotels offer free shuttle service to and from nearby John Wayne, Orange County Airport. See what Costa Mesa restaurants have to offer with our Eatcation itinerary!